What Is the Most Fair and Sensible Timeline for Roof Replacement Work? Are you looking to find out when you might have to replace your roof? Depending on the type of roof you own, that time might not come for decades. Most modern day roofing systems can outlast even older ones made from concrete or slate, and nowadays even metal and composite shingle roofing systems will last for up to 30-50 years in most cases. The first thing you have to determine in order to know exactly when your roof has to be replaced is the age of your roofing construction. If you only just purchased the house, it might be worth calling the seller or digging up the original documents to find out the exact date. A well respected Fort Collins roofer can complete a roof inspection, and give you valuable roofing information. Even your real estate agent might have some information on the matter. The next thing to consider is how your roof’s age has influenced it over the years. In some cases, slate roofing systems that have been around for more than 40-50 years already look like they’re 100 years old because of the extreme weather conditions they were exposed to in the area and the poor care they received from their past owners. Similarly, any roof that was taken care of properly should still last for at least 1-2 more decades, even if it’s made from a cheaper material. A new roof is one of the most important investments that you can make in your home. Besides protection against weather and thermal comfort, you also get a better curb appeal, which will transform your home in more than one way. Considering the importance and the benefits of such a project, you should make a priority from finding the right contractor to work with, as the proper installation of a roof is crucial for its durability and resistance in time. The enhanced protection, insulation and aspect that a new roof provides to a building raise its value on the market, so make sure you get the best Fort Collins roofer and roofing materials and installation for your money. To enhance your property`s curb appeal, match the style of the roof with the style of the building, and make sure that its color complements successfully the colors of other exterior elements, such as the siding. These details will attract people`s eyes and, if you plan to sell your home, you can be sure that a better curb appeal will make the value of your home jump and you can expect to recover most of the installation costs. The certainty of selling your house also increases, by adding a new roof. To confer a harmonious appearance to your entire property, it is essential to integrate the design of the roof with the appearance of the building as well as with the structure of the landscape that surrounds it. Play with styles – a roof that uses traditional materials, such as clay tiles integrate well with a rustic landscape that is not too structured and organized, while modern buildings that features metal, glass, square shapes and a flat roof looks better if the area around is also structured, in the middle of a garden with carefully designed, square flower beds and meticulously trimmed lawn. Can a New Roof Really Increase Your Home’s Value? Getting a new roof is sometimes a necessity. You might be struggling with old leaks and ventilation problems that just keep getting worse. On the other hand, you might simply want a change, since you renovated just about every other area of your home. Depending on why you want to replace your roof, innovative Colorado Springs roofing companies might tell you whether that option is better than a basic repair or not. However, there is one time when replacing an old, worn down roof will be absolutely required: when you’re selling your home. Selling a house is a great opportunity to land some extra cash. For example, if your home is worth about $300,000, even 3% more will leave you with a gain of almost $10k, which can really come in handy sometimes. Installing a new roof, however, can be even more of a benefit. In some cases, it can allow you to increase your home value by up to $50,000. Depending on the quality of the roofing work, the durability and low-maintenance work required by the material used and the labor and material warranty you get, this is a possibility. Moreover, even if your roof isn’t all that expensive to buy and install, it stands to reason that you could get a much better offer than someone who isn’t familiar with the local roofing community. As a result, your buyer would usually be a lot better off paying you a few extra thousand dollars, instead of paying a lot more to get the new roof installed, if you didn’t do it yourself. Although Denver metropolitan area is the center of interest, home prices here, as well as the overall cost of living is above the national average. This is why many people take into account other areas in the state of Colorado to buy a new home. Home affordability doesn`t mean just the price you pay for buying it; actually, there are several other factors to be taken into account when you try to determine the most affordable area to buy real estate: the closing costs, annual insurance and taxes, annual mortgage payment and, not least, the median income in your household. All these financial details can add up very quickly. Statistics show that there are seven cities, in the state of Colorado, in the national top 25 of the best real estate markets, according to metrics that measure how quickly a house is being sold, the foreclosure rate, the number of houses held by banks, the vacancy rate and more. There are also two cities in Colorado (Denver and Aurora) ranked in a national top 5 for real estate agents. In addition, Colorado has 2 cities in nation’s top 5 for real estate agents (Denver and Aurora). Aurora also comes fifth when it comes to the index showing the housing market health. The best potential for making a good investment in a single-family property is in Boulder, while rentals for single families work so far very well in Adams county. Another area you may be interested in is Colorado Springs! There are many lovely housing options in this beautiful area. From smaller homes in established areas, to newer homes, to property just waiting for your custom home to be built, there are many properties for your consideration. Regardless of where you chose to live, or the size of home you are interested in, before purchasing, always make sure you do a home inspection to ensure you know exactly what condition the home is in. You never want to be surprised with additional expenses. 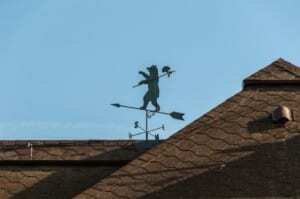 One expense that can be a lot is roof repair or installation. Make sure as part of the decision making process, trusted Colorado Springs roofing companies inspect the home you are interested in. If the property you love needs updates to the roofing system, rest assured Colorado Springs roofing companies have roof options for all budgets. –	Visit schools – most schools have open days when parents and future pupils can see what life in the school is like. Find out when the school you like the most organizes an open day – you can not only take a tour in the school building, but you can also talk to teachers and other parents and find out important details that can help you decide. 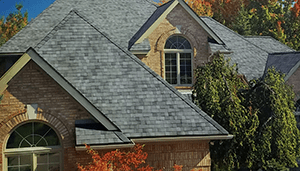 schedule a reputable Colorado Springs roofing company to complete a roofing inspection before submitting an offer on a home. The roof system is one of the most costly renovations you will ever do, and you want to make sure the home you purchase will not need that added expense. And if it does, and you want to make sure you get the best roof and installation services around, there are many quality roofers in Colorado Springs. What Does a Leaking Roof Look Like?